Blockhouses were a standard form of defensive works throughout the 18th and 19th centuries in America. They were built into palisade walls on frontier forts, positioned alone on top of hills, used as look-out posts, and anywhere Soldiers needed a tough building for defense. A blockhouse was built from thick timbers to form walls resistant to bullets. Soldiers cut loopholes into the building through which to fire their weapons. The loopholes were thin slits, allowing a Soldier a wide field of fire while offering only a very small target to the assaulting enemy. 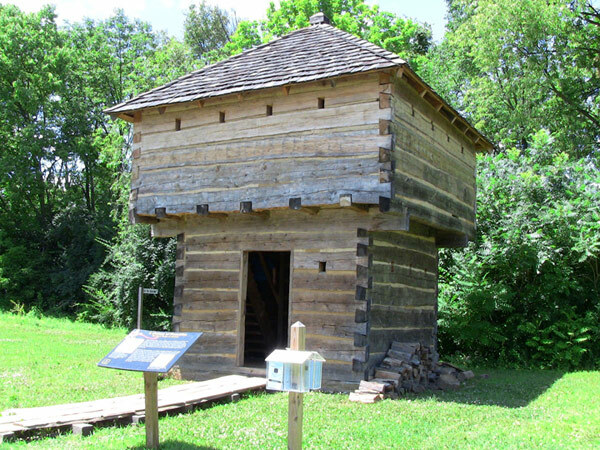 The blockhouse on the Army Heritage Trail is a representation of the type of blockhouse built into the palisade walls around Fort Meigs, Ohio. 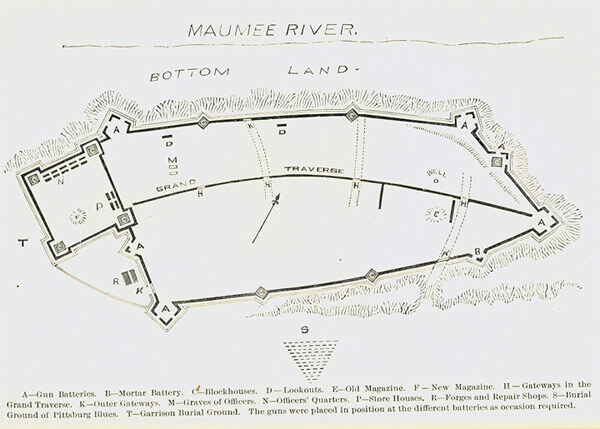 Fort Meigs was a defensive position along the Maumee river used to fight Native American tribes during the War of 1812. 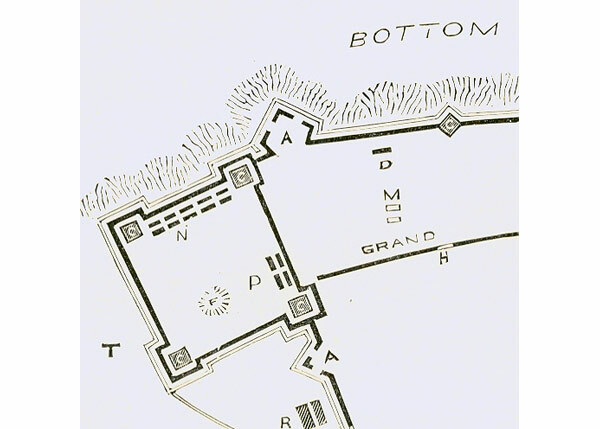 The map shows the blockhouses, labeled with a "C," positioned around the exterior of the wall.The sturdy buildings played a decisive role in the defense of Fort Meigs during a siege by the British and their Indian allies in April of 1813. The blockhouse was a formidable defensive building. The thick timber walls could take a beating, and Soldiers inside had a commanding view of the battlefield. Fort Meigs was built for defense against Native tribes. In the War of 1812, it successfully defended against a British and Indian siege. A close up of the western stronghold shows how blockhouses were positioned to cover all areas and approaches to the palisade.